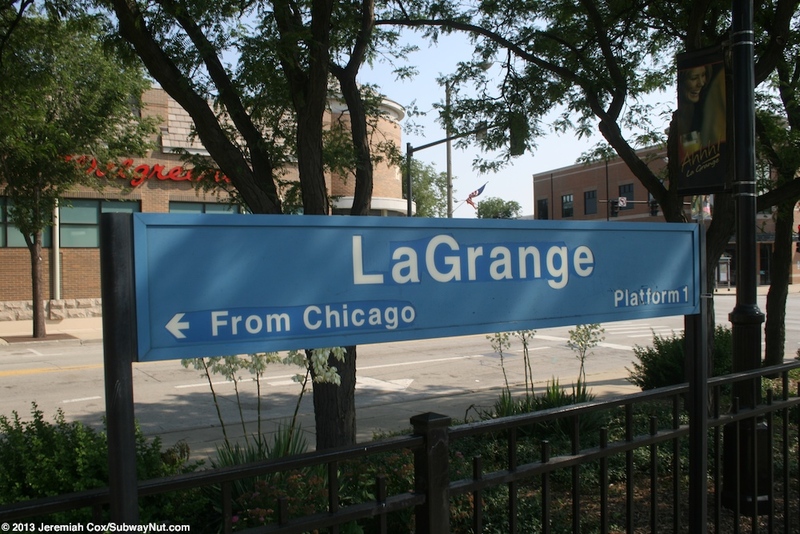 La Grange Road (some platform signs just say La Grange) is the major station in this town (the other stop is Stone Avenue). 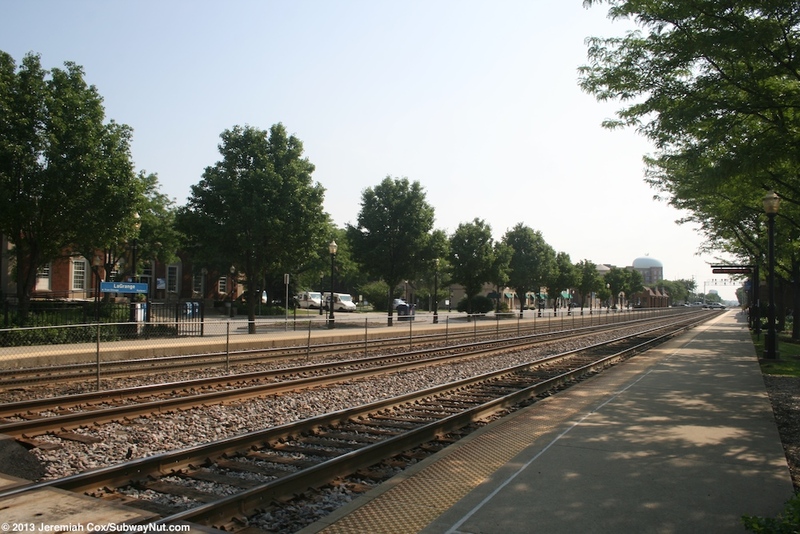 It is served by both Metra trains on the BNSF Railway and by Amtrak’s Illinois Downstate service Illinois Zephyr and Carl Sandburg stopping to and from Quincy. 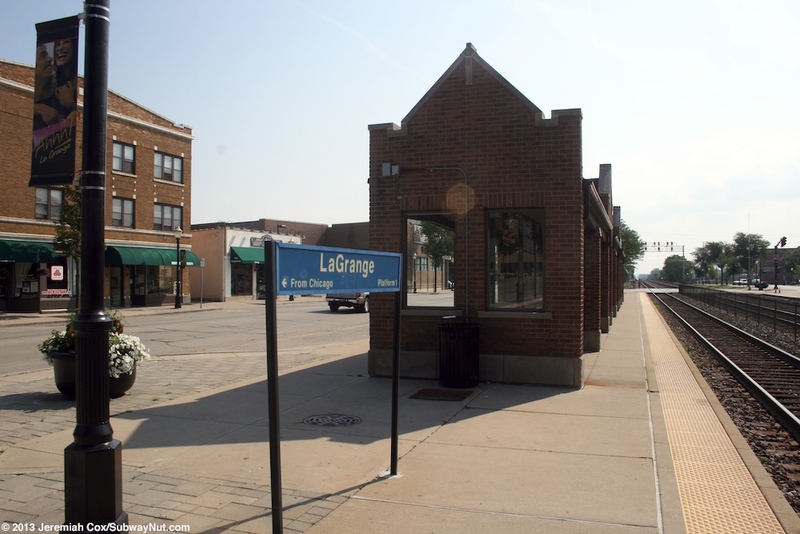 The long-distance California Zephyr and Southwest Chief use the same route through La Grange leaving Chicago but Naperville is their only stop in Metra territory. 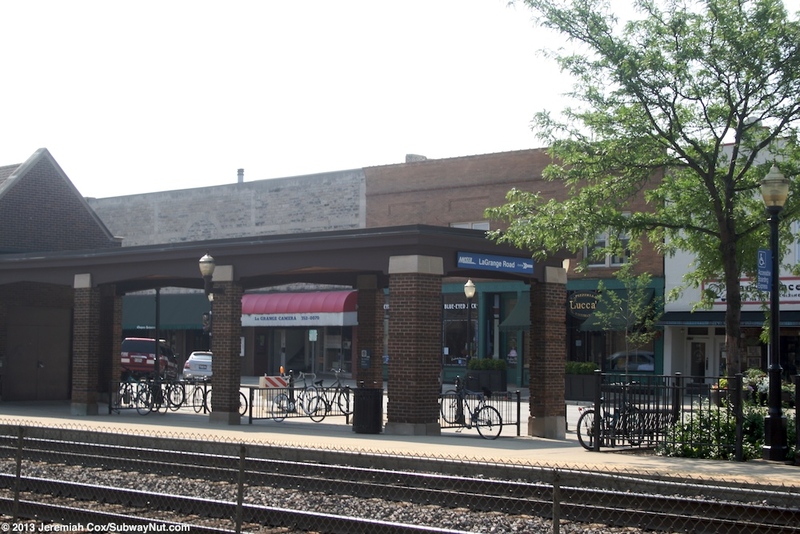 The station has been a station on the state-supported Illinois Zephyr since it began (as Amtrak’s longest 403 State Supported Route) on November 14, 1971. The Carl Sandburg became the name of a second frequency on this beginning in October 30, 2006. 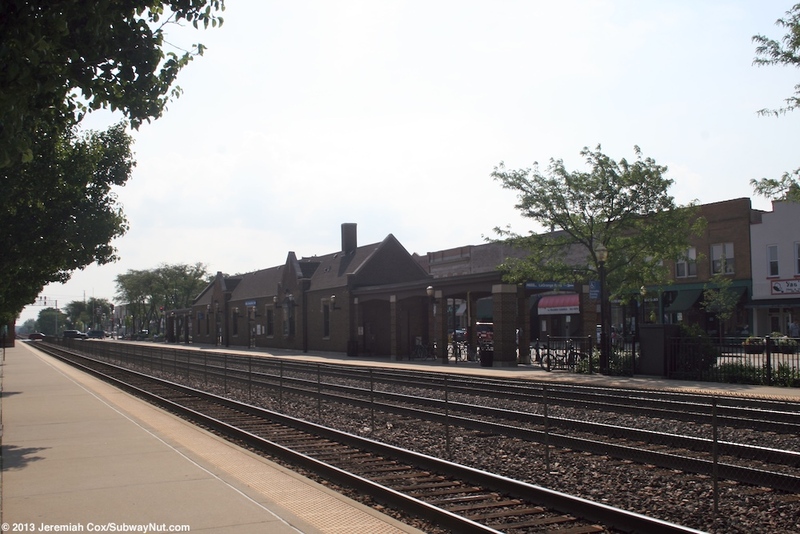 For Amtrak service it is basically receive passengers only Quincy-bound, discharge only Chicago-bound. 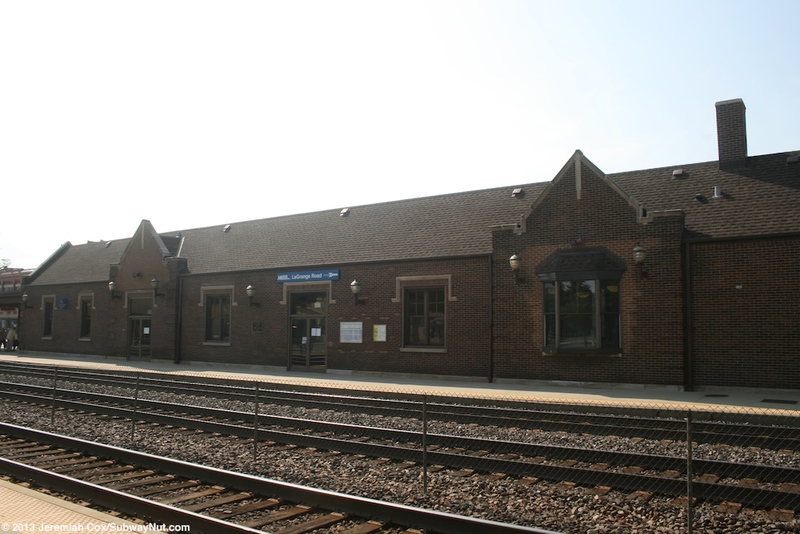 Today, according to the timetable (except the evening Chicago-bound Carl Sandburg, discharge only, connects with only) the station is a 19 stop — Passengers not carried locally between this station and Chicago except when connecting at Chicago to/from other Amtrak trains. 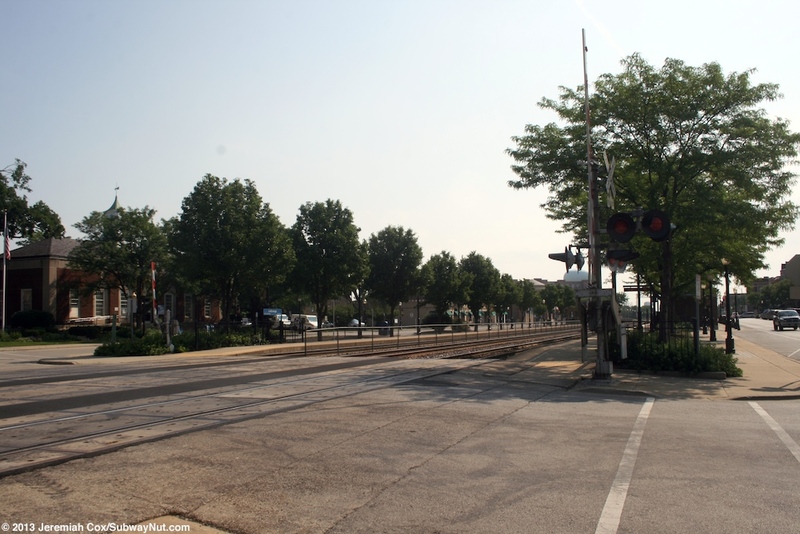 In July 2013 Your Webmaster did get on the Illinois Zephyr here to go into Chicago buying a one-way eTicket the morning of the trip. I was taking the train back to New York that evening but my points run from here was on a separate reservation. Arrow seems to no longer enforce these restrictions since at least the beginning of eTickets. 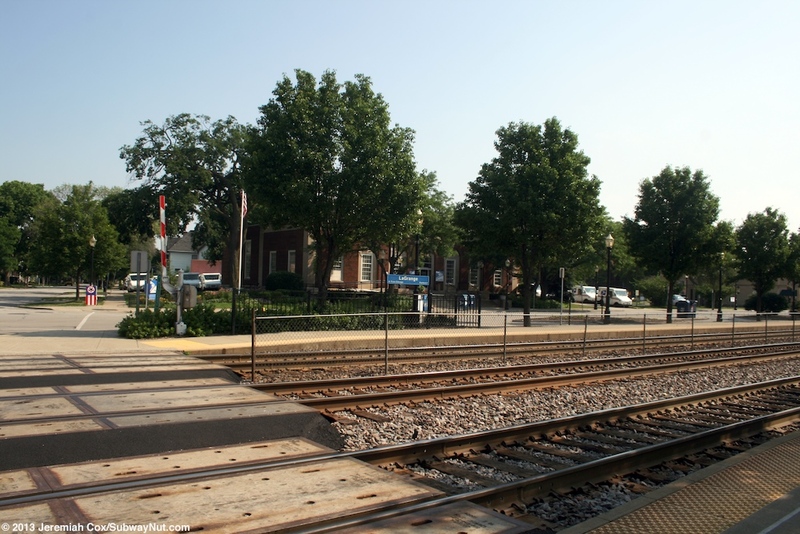 The station itself consists of two side platforms along the three-track line; these low-level platforms with tactile warning strips are nestled between the grade crossings of Ashland Avenue (western end) and La Grange Road. 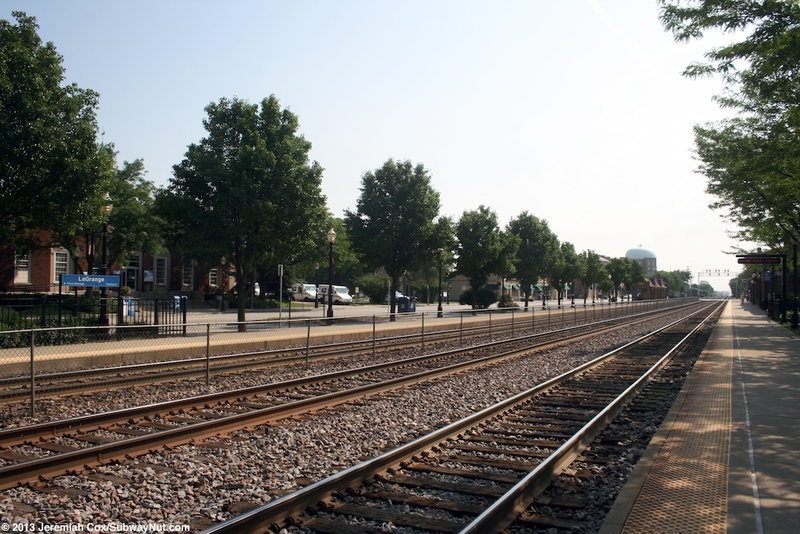 The station occupies a tiny footprint with Hillgrove Avenue running along the outbound track on the northern side of the ROW and Burlington Avenue along the inbound track, with the station in the middle of La Grange’s historic downtown. 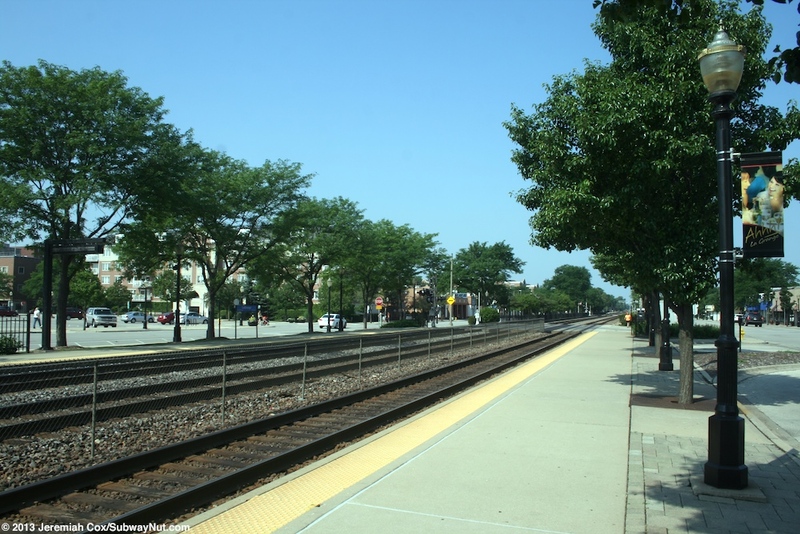 The fact streets are so close to the platforms also means that the brick depot along the middle of the inbound platform is long but extremely narrow. 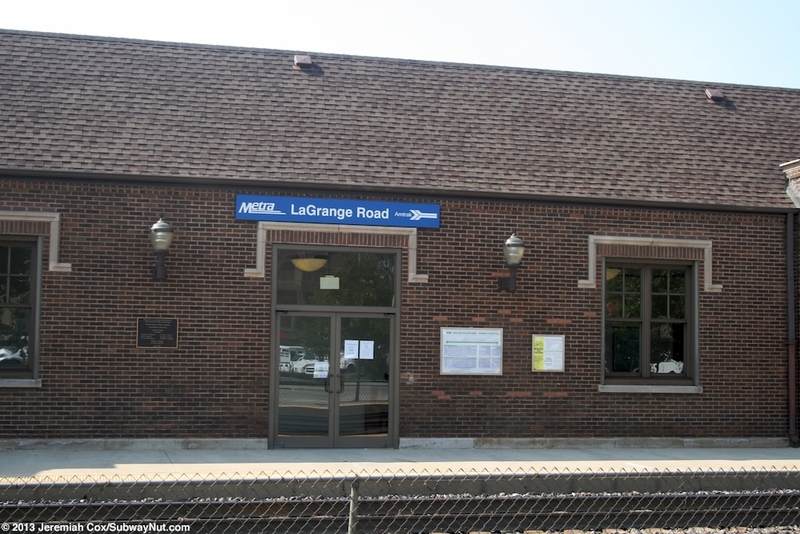 The current depot opened on Monday, December 27, 1925 has some historical information displayed inside says. 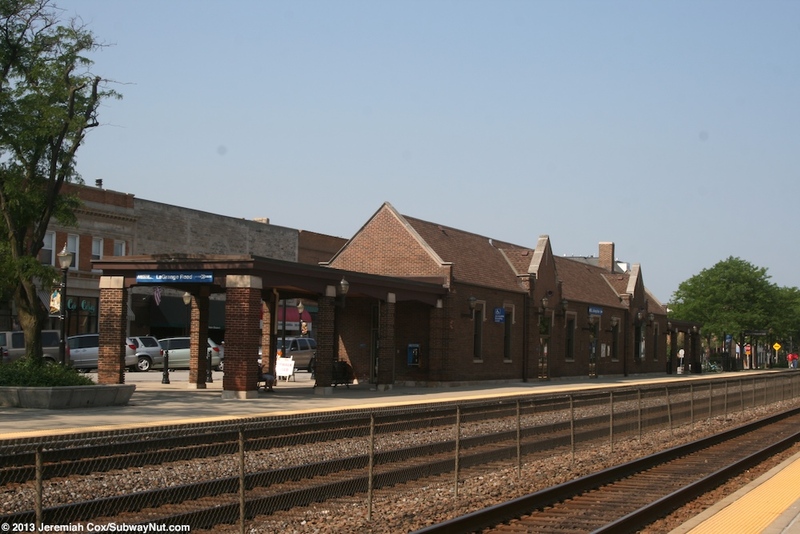 Outside the depot is a plaque for its restoration in June 1998 that made the station ADA compliant for Metra only since there are still not any mobile lifts required for access from the low-level platforms to the Horizon cars the Illinois Zephyr and Carl Sandburg normally use. 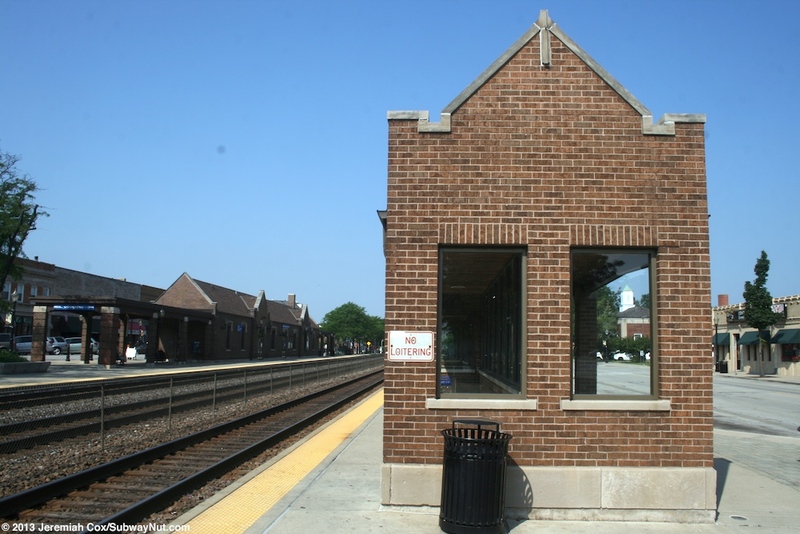 Inside this brick station house at its eastern end is a ticket office and waiting room with some wooden benches. 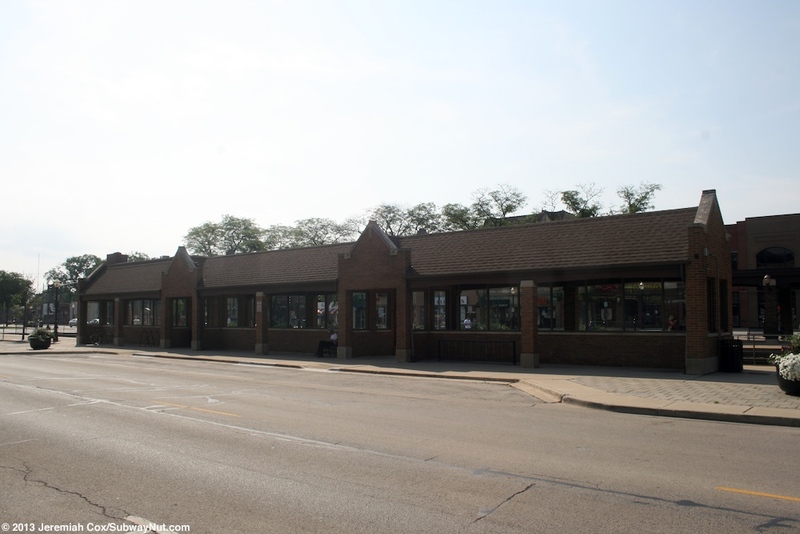 The western half of the station house is occupied by a small coffee bar that I assume is only open during weekday mornings. The ticket office and waiting room are open weekdays only for one morning shift (5:25am to 1:00pm). 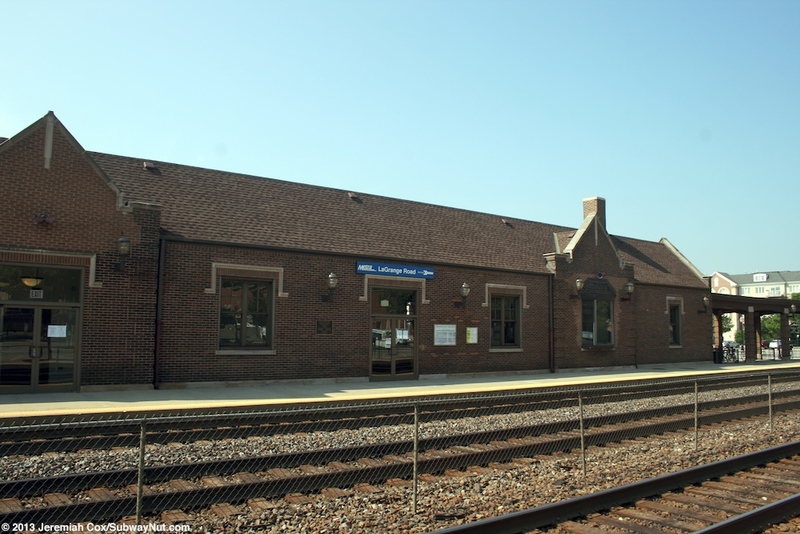 The platform lacks any cover outside of the depot but passengers waiting for trains when the station is closed do have some amenities with the roof extending parallel to the platform (held up by brick pillars) for three sets of pillars along each side of the station. These cover bike racks and benches. 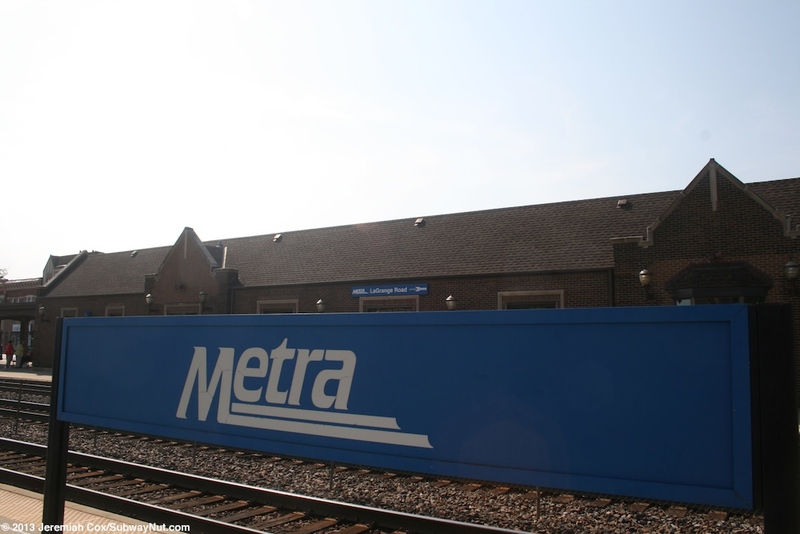 The outbound platform has a quite large brick shelter structure in the same style as the platform depot. 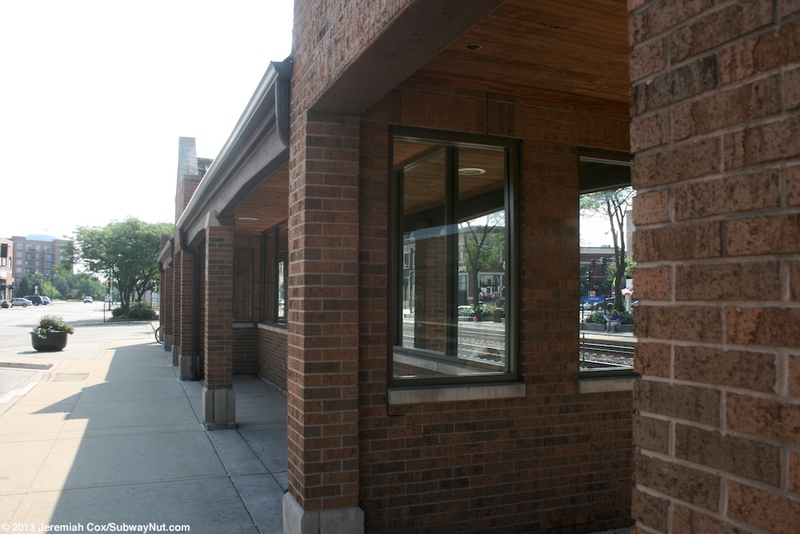 This shelter is slightly offset from the depot towards the eastern end of the platform. 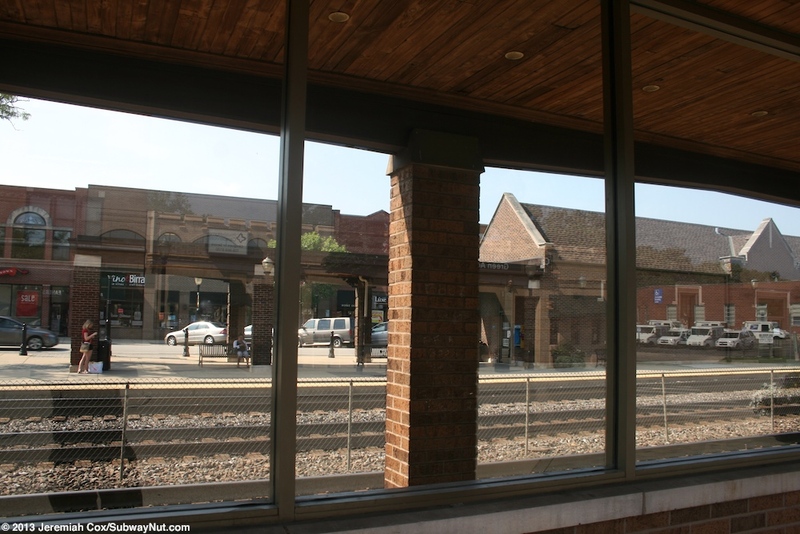 There are a number of benches inside with some Plexiglas windscreens to protect waiting passengers from the elements.